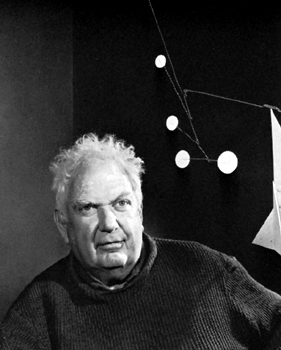 Alexander Calder (July 22, 1898 – November 11, 1976) was an American sculptor and artist most famous for inventing the mobile. 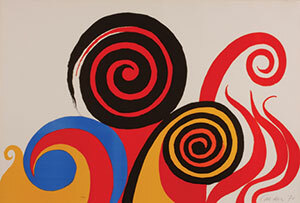 In addition to mobile and stabile sculpture, Alexander Calder also created paintings, lithographs, toys, tapestry, jewelry and household objects. 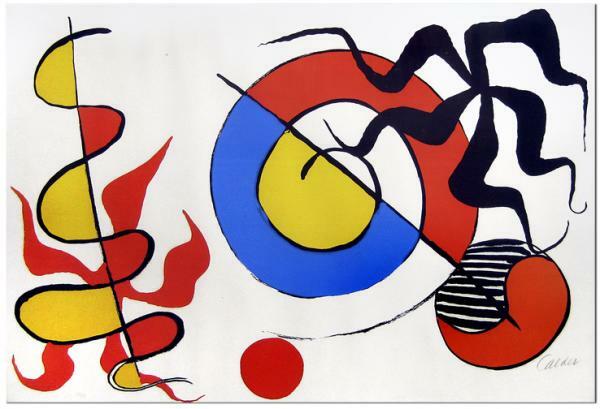 Alexander “Sandy” Calder was born in Lawnton, Pennsylvania, on July 22, 1898. His father,Alexander Stirling Calder, was a well-known sculptor who created many public installations, a majority of them in Philadelphia. 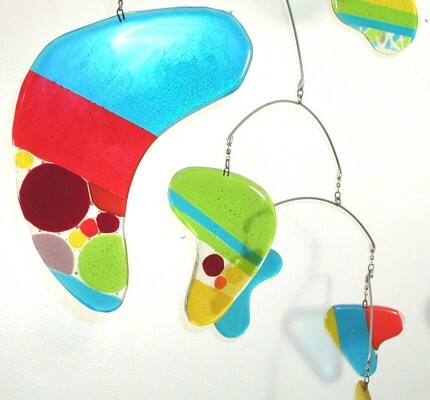 Calder’s grandfather, sculptor Alexander Milne Calder, was born in Scotland and immigrated to Philadelphia in 1868. He is best-known for the colossal statue of William Penn on top of Philadelphia’s City Hall tower. 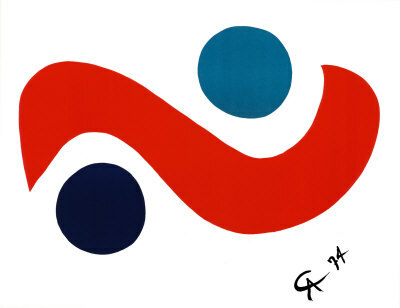 Calder’s mother, Nanette Lederer Calder, was a professional portrait painter who studied at the Académie Julian and the Sorbonne in Paris from around 1888 until 1893. She then moved to Philadelphia where she met Alexander Stirling Calder while studying at the Pennsylvania Academy of the Fine Arts. 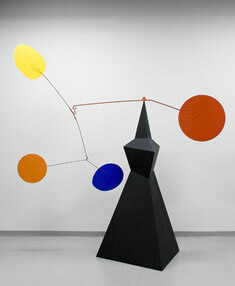 Calder’s parents were married on 22 February 1895. 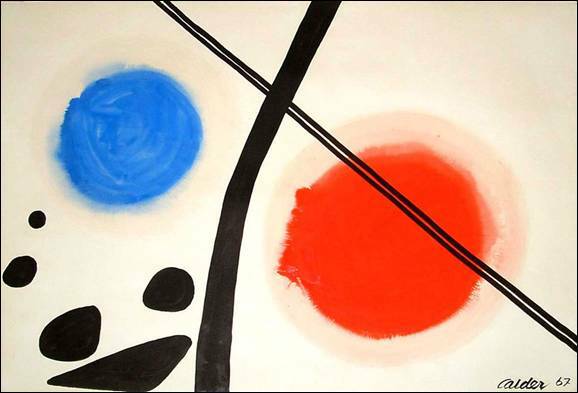 His older sister, Margaret “Peggy” Calder, was born in 1896. 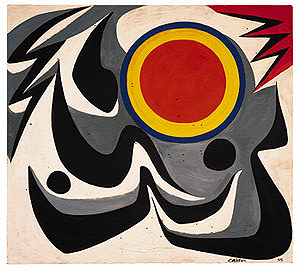 Her married name was Margaret Calder Hayes, and she was instrumental in the development of theUC Berkeley Art Museum.